The main > Miscellaneous> Housekeeping> How to salt a mackerel? How to salt a mackerel? The salty small fish is loved by many. It well approaches both beer, and boiled potato, and sandwiches with it turn out very tasty. It is possible to buy salty fish in shop but where the fish salted independently is more tasty. InfoHow.net will tell how to salt a mackerel in house conditions. 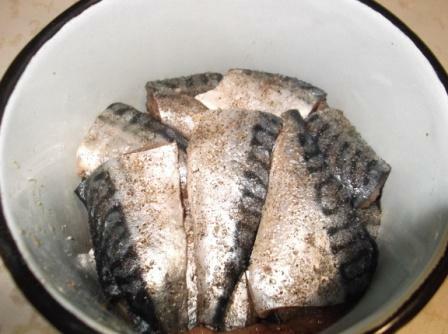 It is quite simple to salt a mackerel in house conditions — process of salting does not demand any special skills and the equipment. 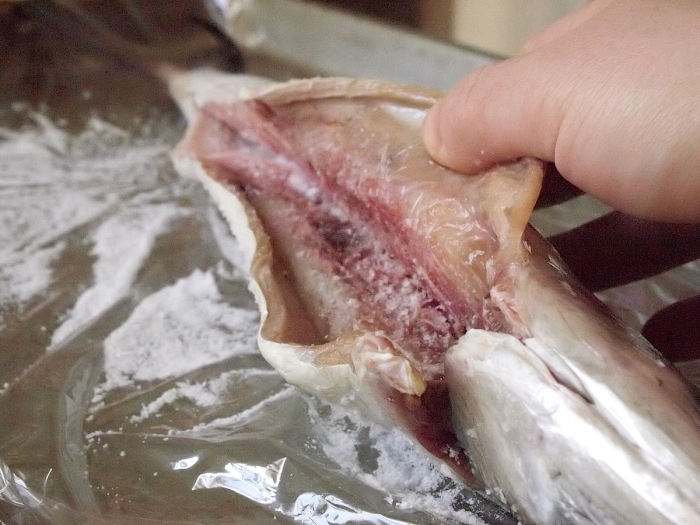 It is possible to salt as I skin, and the frozen mackerel (but the last before salting will need to be defrozen). 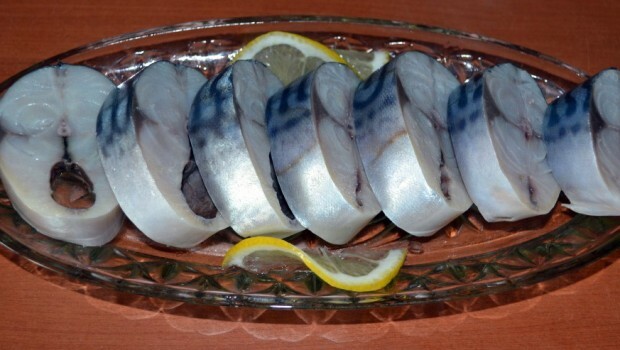 Fish for salting needs to be chosen carefully — it has to be very fresh, without damages. It is best of all to buy fat fish with a thick back. Before salting a mackerel, it needs to be drawn. 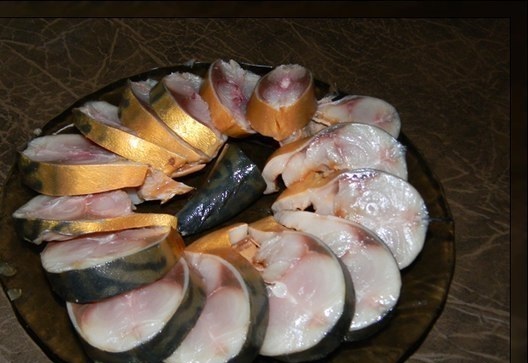 Make a longitudinal section in the middle of a paunch of fish and remove all interiors, including milts and caviar. Carefully wash out fish, having paid special attention to a paunch. 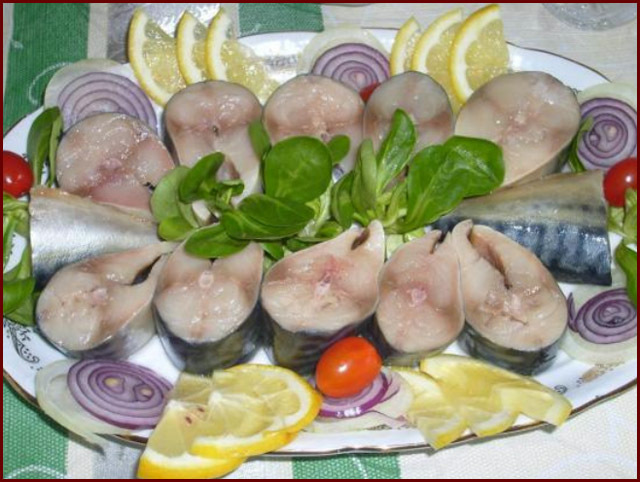 Fill a paunch of each mackerel with salt, salts has to be more in area a zhaber. Important! For salting of fish take always only pure salt - without impurity, and not iodated. Keep in mind that small salt strongly damages a carcass of fish, but does not prosalivat it. 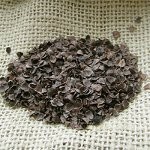 Therefore choose salt of the most coarse grinding. Take big pure corrosion-proof ware and lay in it carcasses of fish paunches up. Lay out one layer of fish, salt it, from above lay the following. Alternate layers of fish and salt, the place in ware will not come to an end yet. Salt has to be the last layer. Cover ware with oppression and put in a cool place. When salting fish from it juice in which salt will be dissolved will be emitted. The turned-out brine call brine. In it the microbes capable to spoil fish therefore from time to time brine needs to be merged can breed. Depending on thickness of fish it will be ready in 3-6 days. But it is only the general scheme of salting of fish. 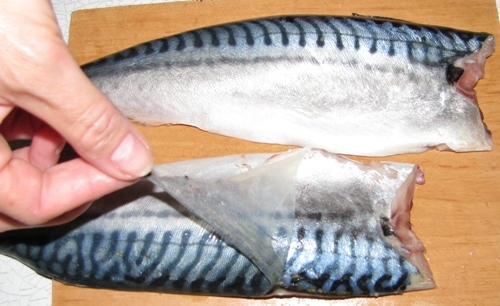 How to salt a mackerel so that members of household or guests told: "You will lick fingers!" - and immediately the additive demanded? 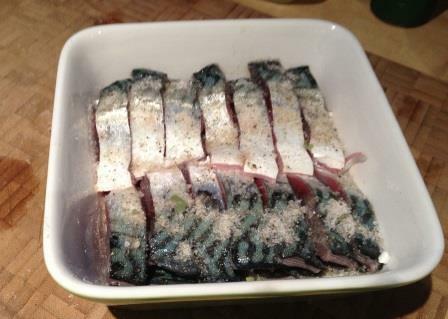 For this purpose it is possible to add when salting to salt various spices or to salt a mackerel in spicy marinade. 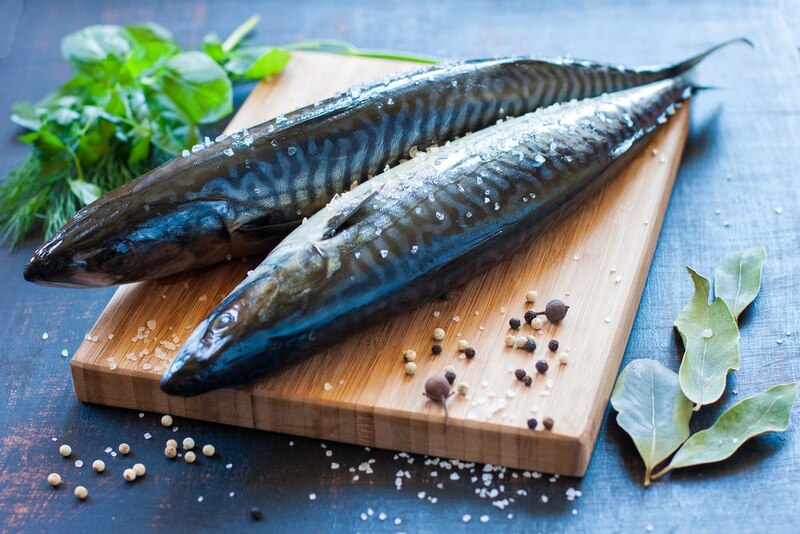 If you want to prepare not simply salty, but juicy and unusual mackerel, pay attention to two more recipes of its salting. If you want to receive a mackerel of a spicy posol, it is possible to salt it in spicy marinade. 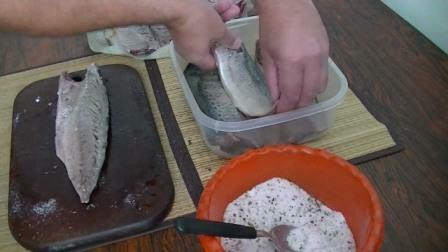 It is the recipe of a fast posol — fish will be ready in 10-12 hours, but not in some days. Cut off to fish the head and a tail, take out all interiors. Well wash out a carcass in flowing water. 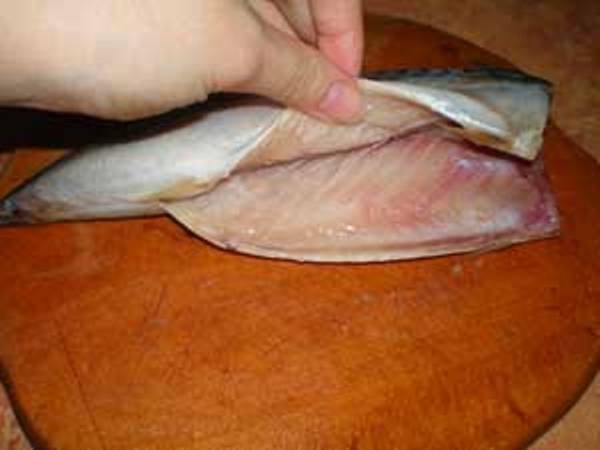 After that remove a thin skin from fish, divide it a knife along a spine and take out bones. Clear onions and cut ringlets. Then prepare marinade, having mixed vegetable oil, vinegar, a carnation, bell pepper and bay leaf in a bowl or a bowl. 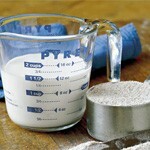 Put the prepared fillet in separate ware, salt, mix and leave for 5-10 minutes. Then pepper fillet, add onions and fill in with marinade. 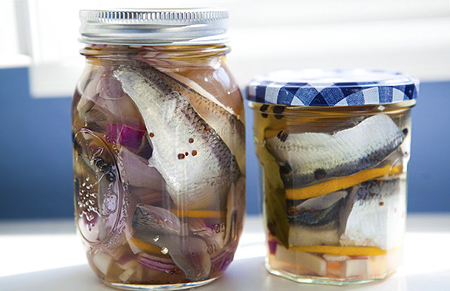 The pickled fish shift in the separate container or to bank, close a cover and stir up. 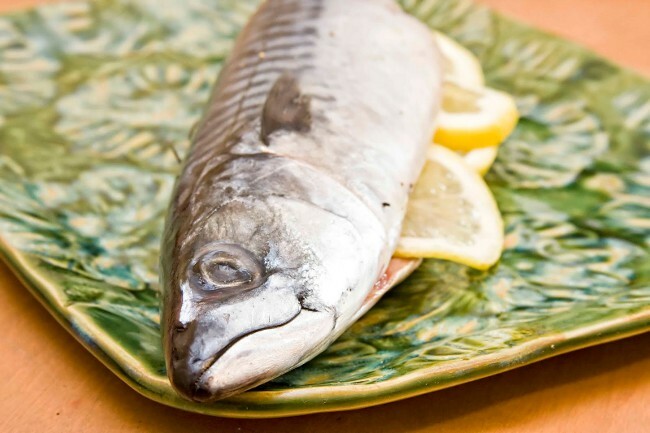 Leave fish at the room temperature for 10-12 hours. Then move away fish for 2 hours per the refrigerator. After this time the salty mackerel can be given to a table. 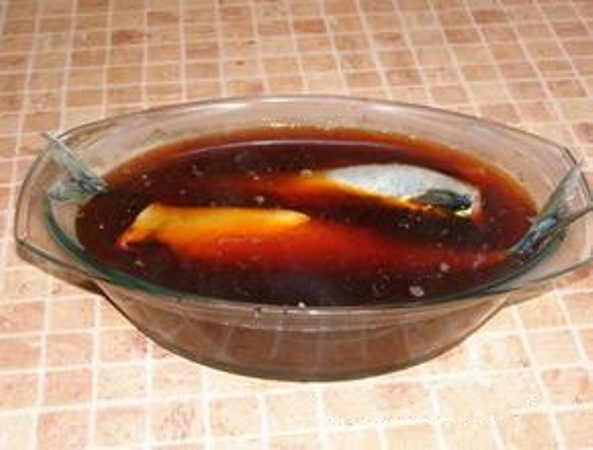 Mackerel in a brine "subsmoked"
It is possible to salt a mackerel in even more original way — in a brine from tea tea leaves with a liquid smoke. The fish prepared thus has a peculiar aroma, and the carcass gets a yellowish shade, as if fish after a posol smoked slightly a little. 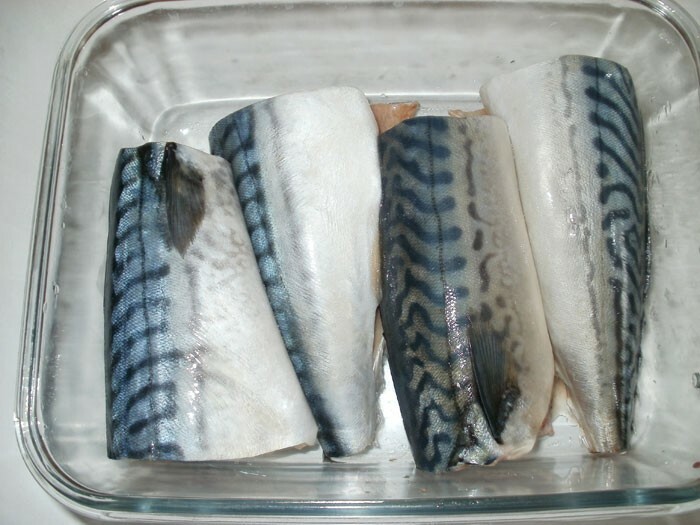 If the mackerel frozen — defreeze it. Cut off a tail and the head of fish, remove interiors. After that lay fish in a 2-liter jar tails up. Then prepare marinade. 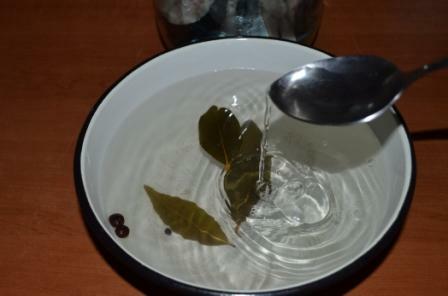 For this purpose to a vsypta in water tea tea leaves, salt and sugar then bring water to boiling. Filter the turned-out marinade, let's it cool down and add a liquid smoke. 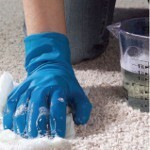 Fill in fish with marinade, close to bank a polyethylene cover and clean in a cold place approximately for three days. During this time the bank with a mackerel needs to shake up periodically. Cut ready salty fish before giving on a table on slices.